Since you passed traffic school, your expensive traffic ticket received a price reduction. Now you can use all the money you saved to treat yourself to something nice – like one or two cheap vacations in California. We’re helping you escape your busy city life or your mundane town, so you can explore somewhere unfamiliar. Here’s a list of unknown, cheap California vacation spots you might not know exist. Located 110 miles north of San Francisco, Sea Ranch is an architect’s playground. This stretch of land is known for its creative, artistic houses surrounded by the beauty of northern California. Architects have poured their creative souls into building small houses that are used by locals of the area. You can rent one of these homes for a weekend getaway. It’s a simple and creative way to spend your cheap vacation. You’ll be secluded in the hills and mountains, away from the bustling lifestyle of city living. 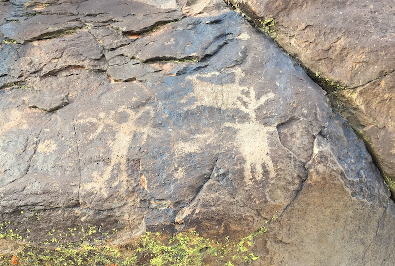 If you’re a fan of art and history, then Big and Little Petroglyph Canyon could be a vacation you’d enjoy. Preserved on these landforms are old Native American Petroglyphs. Created by the Coso people, some of the paintings are estimated to be 10,000 years old. This area is a great hiking spot that will take you through the history and culture of the canyon. You can also post up camp on government owned grounds nearby for a wilderness adventure on a budget. But, if you want to visit a town, nearby are Ridgecrest and China Lake. Explore a village locked in time. Drakesbad is a fun vacation spot that offers outdoor activities and lodging. This location is great for entire families and for couples. Horseback riding, archery, massages, and more can be had while visiting this village pushed away in a volcanic national park. Drakesbad has a reputation for helping you unplug from life and disconnecting from stressors of your day-to-day. You can explore flowery meadows, culinary creations, and beautiful nights under the stars in this small village. It also has cabins and other lodgings that will meet the needs of any sized party. If you’re on a budget, no problem. You can still get that relaxing jacuzzi experience you would find at that high-end resort you’ve always wanted to visit. 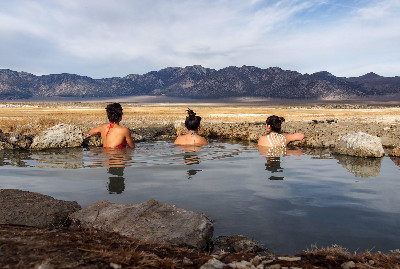 All you have to do is travel to Mammoth Lake Hot Springs. The hot springs are like jacuzzies, but they’re naturally formed by volcanoes erupting thousands of years ago. Soak up the warmth by visiting these natural springs. Located north of Bishop, California, this area is teeming with relaxation. You can find a cabin for the weekend or rent out a house. If you don’t like looking at nature, you can always close your eyes and pretend you’re on that Malibu resort you couldn’t afford. When in doubt, you can wine it out. 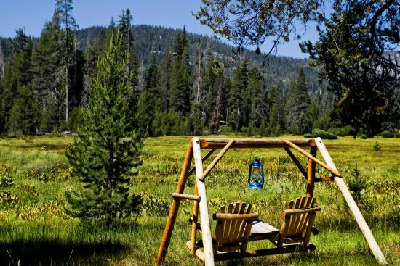 If none of these vacation ideas appeals to you, then visit Murphys, California. 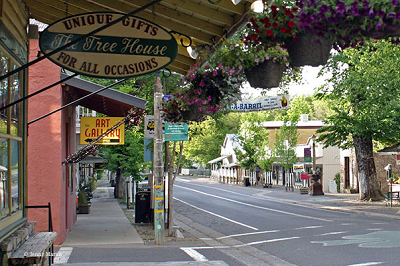 This small town experienced a sudden population boom, and, from there, built out a very diverse community of wineries. Murphys is built with stone wall buildings, surrounded by beautiful nature, and is in abundance of boozy wines. You can spend your cheap vacation drinking wine in California’s great northern wine town. But, if you don’t want to spend the entirety of the vacation drinking wine, there are natural redwood parks and caverns that are ready to be explored nearby. 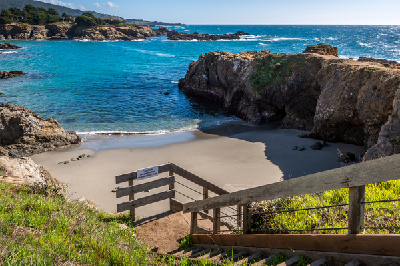 California has lots of hidden gems and secret vacation hot spots. Whether you’re camping or tasting wine, you can find anything you’re looking for – and on the cheap too. So, take that extra money you saved and put it towards your very own inexpensive vacation.